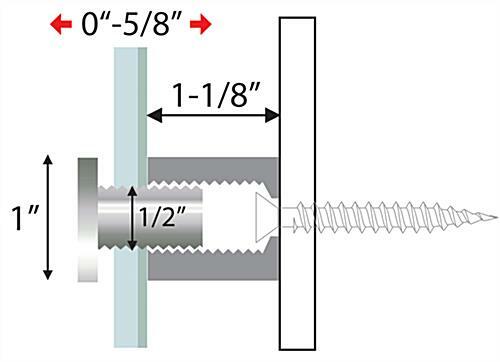 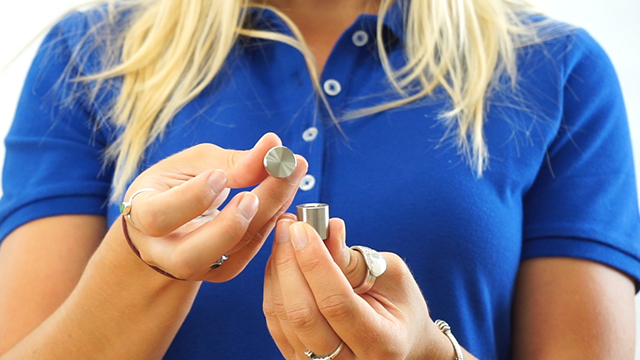 Size (Diameter x Depth): 1" x 1.125"
0.5" x 0.75" 0.75" x 1"
Standoffs that are 1" wide need holes that are 1/2" in diameter to be drilled in signs before use. 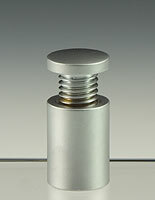 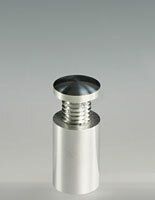 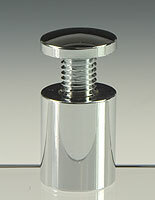 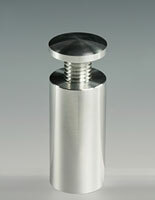 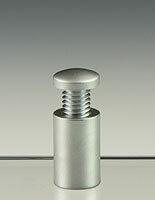 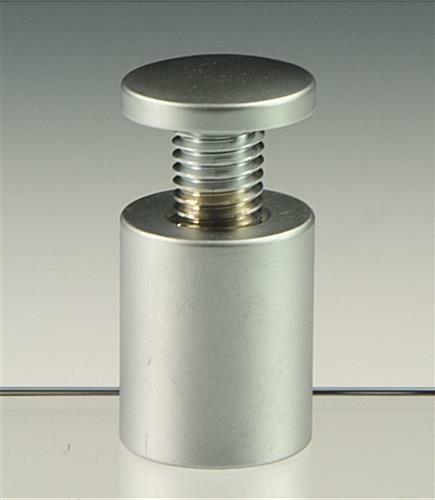 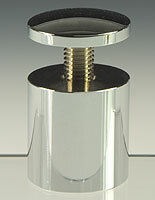 The solid brass fasteners are made to be durable and have a finish of satin silver. 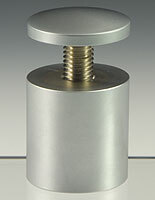 Hanging kit has a fast and simple installation and can be reused. 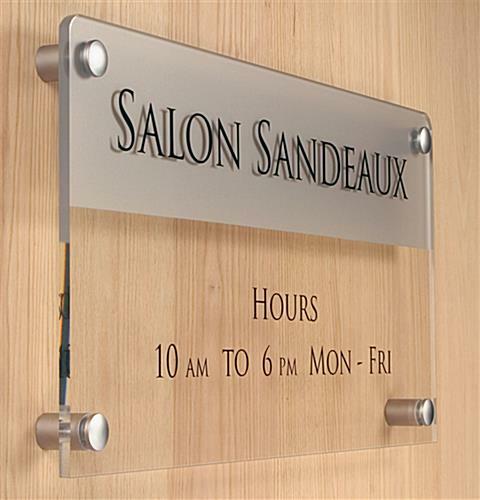 These wall display systems, sometimes called wall mount tools, will update the appearance of the sign panels to match the decor. 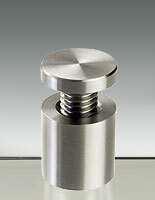 The accents are attractive to garner interest from patrons. 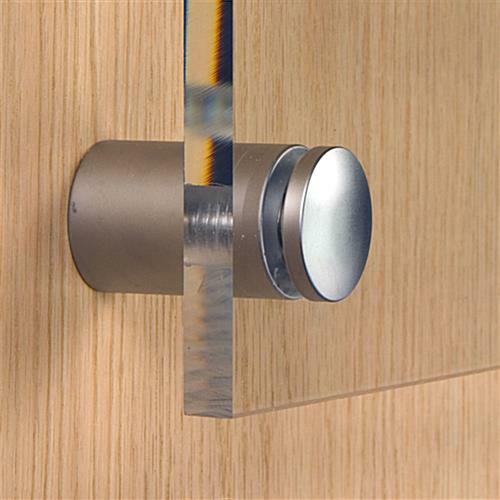 These wall display systems revamp the overall aesthetics of the current marketing campaigns. 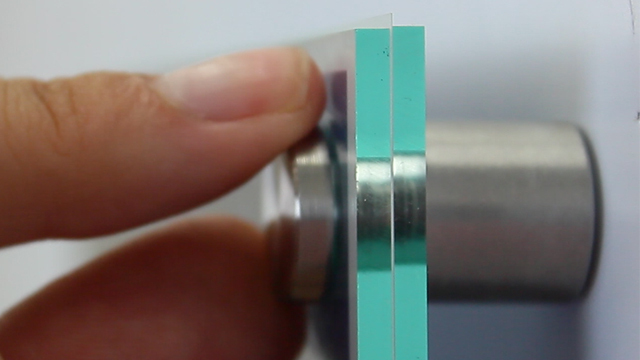 Place the panels almost anywhere in the establishment to attract sales.